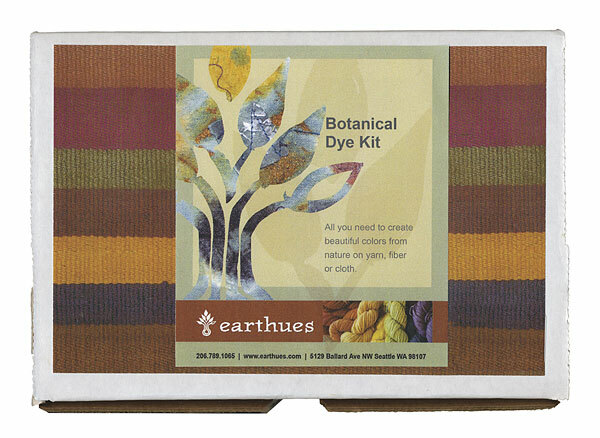 This Botanical Dye Kit from Earthues is the ideal starter kit for those who are new to natural dyes as well as those who want to experiment with color but without the use of harsh chemicals. This kit has everything you need to create your own beautiful and vibrant colors, all made and inspired by nature. There are four color extracts in the dye kit and include madder (red tone), Osage Orange, Logwood Purple with iron (which will shift the color to Logwood Grey) and cutch (brown tone). Protein mordants also come with the kit and include aluminum sulfate, and calcium carbonate, in addition to a detailed instruction booklet, mask, and gloves. 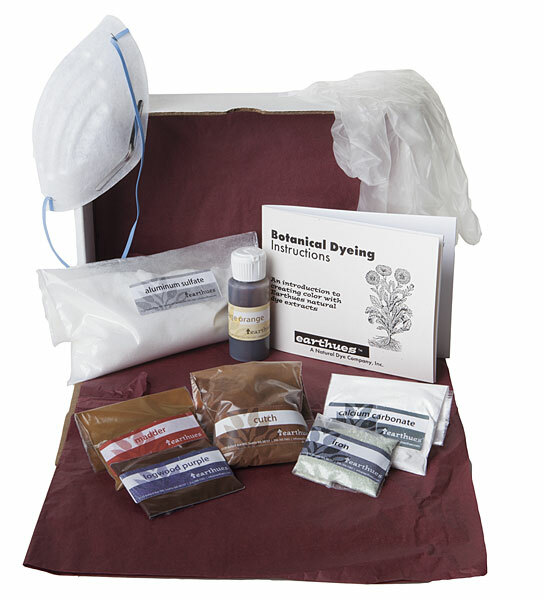 The Botanical Dye Kit contains enough dye to color 4 pounds of fiber. This was a great way to start learning how to dye fiber. I used it to dye wool for spinning yarn and I’m thrilled with the outcome. My only criticism is that the directions for wool did not stress enough how carefully it needs to be handled to prevent felting. After felting a first batch, I kept the temp below 180 degrees F and handled the wool as softly and infrequently as possible. I also made sure to not subject the wool to any large shifts in temperature when rinsing, etc.... It would have been helpful for a novice to see these hints in the instructions. Otherwise, this was a great beginning kit.